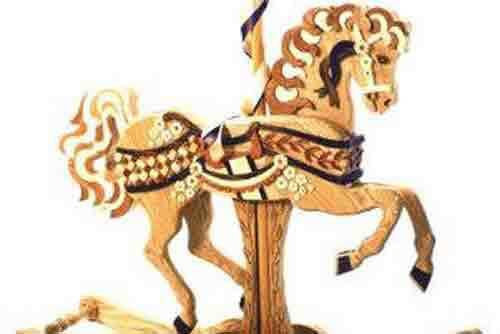 Using rocking horse plans to make a rocking horse is a popular woodworking project for beginners and more experienced woodworkers. There is a wide selection of plans available to suit every occasion, from the most simple yet elegant to something more complicated that you may want to make to show off your woodworking skills. Rocking Horse woodworking plans - Easy to make, packed with detail. Easy construction, finely detailed trim and smooth rocking action. Rugged enough for a child 18 months to four years. Tole paint for a Christmas display or as a room accessory. A superb wood project and an excellent gift. 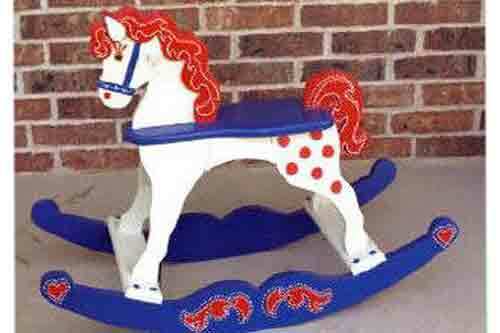 19-W2888 - Child Rocking Horse Woodworking Plan. 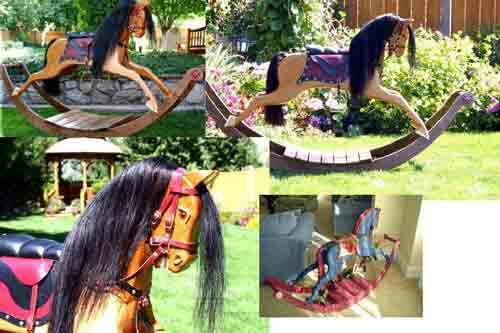 The perfect rocking horse for your 3 to 7 year old children or grandchildren. Build with 3/4 inch and 1-1/2 inch stock layered to provide a realistic 3-dimensional look. Sturdy design will last for many generations. Patterns for all parts are drawn FULL SIZE. For those ambitious woodworkers looking for something a bit more challenging. Can be used for display or photographers prop for children. 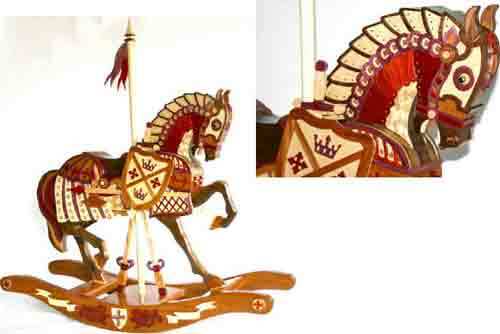 In the classic style of the grand Carousel horses of the 1800s. No carving is required. Nearly all wood with white ash, walnut, padauk and purple heart shown. Rich with floral and ribbon wood appointments and light colored woods. It can be used for Christmas displays, decorating a family room or nursery, as a prop for photography or for store window merchandising. The project can be accomplished with no carving. Primary work can be done with a bandsaw, router and drill press. Rousing tales of the Knights of the Roundtable and Sir Lancelot inspired this all-wood, medieval design. The project is packed with fine wood detailing including crests, banners and lions. The splash of color is not created with paint but with colorful and readily available domestic and exotic hardwoods. 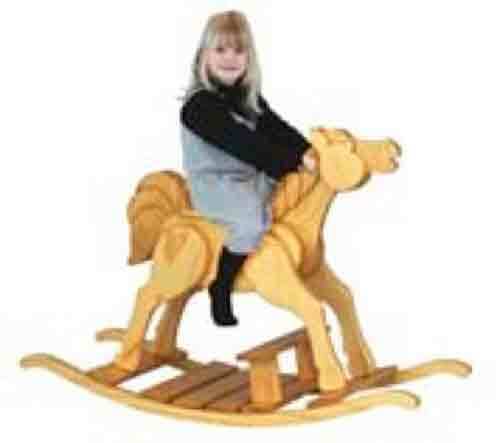 Our Victorian Rocking Horse plan is based on a centuries old classic from England. Unlike the English design, no carving is required on this project. 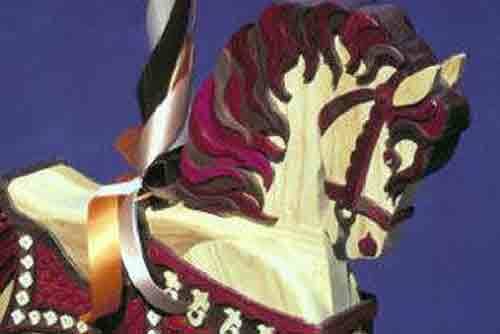 The horse can be constructed as a decorator for the parlor or as a functional rocking horse with a long graceful rock. Children adore this product.